Ever thought about creating your own website? Perhaps you're thinking of starting a small business. Maybe you want to write reviews on books, movies, or restaurants. What if you've just started a new netball or indoor cricket team or club, and you want to keep your members up to date? Could be that you're a hobbyist and love to share your favourite pastimes like cooking, or scrapbooking. And if you're really passionate about a cause, you may want to promote a charity through a website. Once upon a time it was expensive to have a website made. These days, there are loads of programs out there that can help you design a great working website in a couple of hours, and it's becoming easier every day. But it's one thing to design your website; you need to have it hosted. Usually, you have to pay for a domain name, and you also pay an annual fee for that domain to be hosted. Sort of like paying marina fees for your boat to moor (or if you, like me, don't own a boat, perhaps it's more like paying rent). 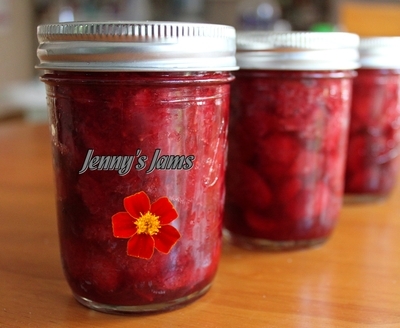 So if you want your website to be called "Jenny's Jams", you might go to a domain registry such as Net Registry and check to see if jennysjams is available. At the time of writing this, jennysjams is available. If it's an Australian business you may want to call it jennysjams.com.au – or if you want to go global, you might just drop the .au. If you think jennysjams is going to be the next Coca Cola, you may want to snap up all the domain name extensions available, like .org, .net, .asn, .id, .tv, .uk etc. It couldn't be easier. You type in your intended business/website name, then follow the easy steps. Pick from hundreds of templates (which you can always modify at any time) and literally in around two hours or less, your website is up and running. You can add your own pictures, logos, links, videos or anything relevant to your new venture. Just remember that "free" usually comes with some limitations. You have only 100 meg of bandwith, 40 meg of web storage and enough space to store 30 minutes of video. But for most starter-outers, and for those who want to exercise some creative muscle for a small project it's a no-brainer. In case you're a bit skeptical and think you have to be a HTML wizard, then don't worry. Webs' "What You See Is What You Get" (WYSIWYG) interface makes it a cinch to add new pages, upload photos, type in your copy, and more. If you can use Microsoft® Word, you can build a site with Webs. Of course there are countless paid options with webs.com to have your own domain name, email addresses, much more bandwidth and other benefits that come with forking over your cash. So as your business grows, you can grow with them. Here are some examples of websites created with this easy system.